The ringing or hissing sound in one or both ears occurs even in total silence and may appear to be coming from inside the sufferer’s head. It can be a single noise or a combination of sounds. The severity and regularity also differs between sufferers. The information in this leaflet identifies potential causes and methods for managing the condition. Unfortunately, research has yet to discover a cure for the condition. Furthermore, as there are varying causes of tinnitus, hearing professionals concentrate instead on “management” rather than solutions. The rule of thumb is: “Treat the medical source of tinnitus to efficiently manage its effects”. Applying this rule of thumb – if hearing loss and tinnitus are both present, a hearing aid is likely to reduce the problem – some wearers have reported that it alleviated the condition completely! This is further reason to support the notion that any significant hearing loss should be treated with the fitting of suitable hearing aids. Hearing aids ease the strain and improve your overall listening ability. For this reason, a digital hearing aid can greatly alleviate tinnitus for many sufferers. However, as hearing loss occurs gradually over time, many people may not even realise that they have a hearing loss – let alone that this is related to an increasing ‘ringing’ in their ears. That is why a full hearing test is the logical first step in addressing tinnitus. Another option to help people manage is the use of a Therapeutic Noise Generator, a device which looks like a hearing aid and is recommended for people with no hearing loss. It produces a blend of external sounds that stimulate fibers of the hearing nerve, helping deviate attention away from the tinnitus. 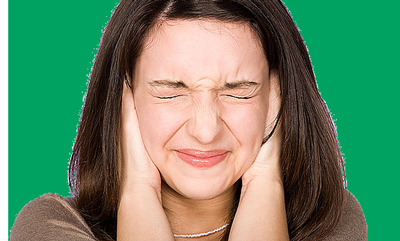 For the vast majority of people there is no specific surgical procedure that provides a treatment for tinnitus. However, following successful surgical treatment for some ear problems, tinnitus may sometimes disappear (e.g. otosclerosis, middle ear effusion). Accurate diagnosis and treatment of Meniere’s disease may also result significantly reduced tinnitus.